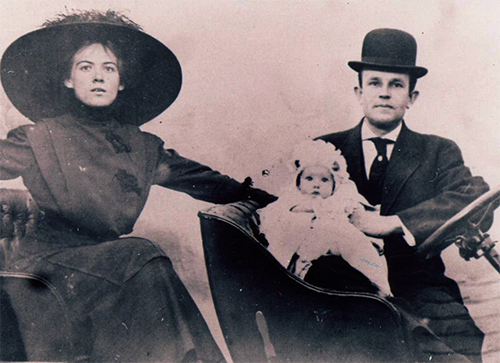 John T. Little was born in Olathe, Kansas in 1881. In 1902 he made his way west, arriving in Spokane at the age of twenty one with four silver dollars in his pocket. 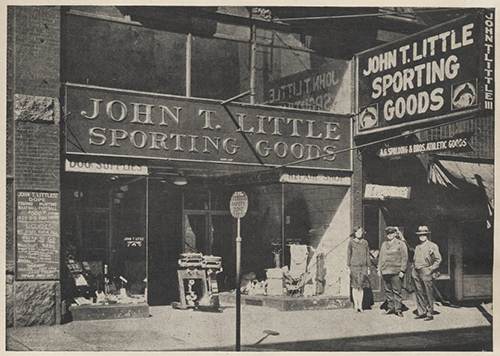 In 1909, Mr. Little became the owner of the John T. Little Hardware and Sporting Goods store. This was a mainstay company in downtown Spokane that served customers throughout Washington, Idaho, Oregon, Utah, Montana and Wyoming until 1942 . Adopted were his famous slogans, “Everyone Needs a ‘Little’ Hardware” and “The Tackle That Takes the Trout Today.” He was well known for his ingenious and profitable marketing and business strategies. 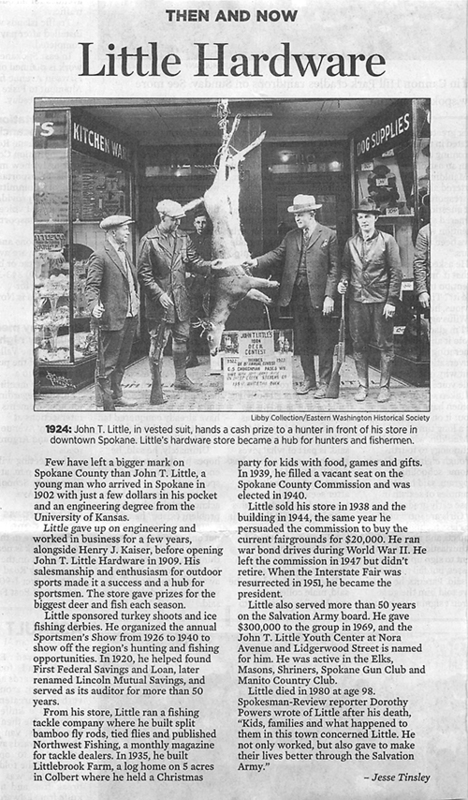 While running his hardware and sporting goods store, Mr. Little became the creator and director of the famous “Sportsman Show,” which was held each year under the Union Street Viaduct on Trent. This show drew crowds from the northwest numbering in the 18,000s to see various exhibits for fish and game, sporting goods, and various programs put on by sportsman groups and Native American tribes from the northwest. 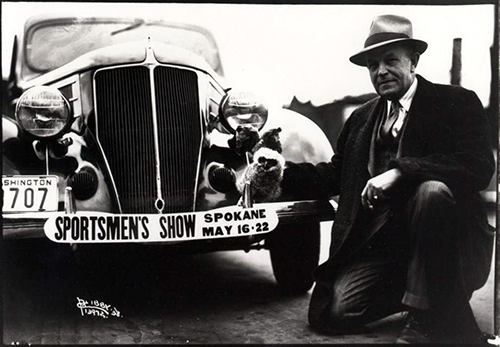 This show was the precursor to the Spokane Interstate Fair which Mr. Little later instigated in 1951 when he served two terms as County Commissioner.